Qualcomm and Microsoft announced the launch of the Snapdragon 850 powered ARM-based laptops, and 2-in-1 hybrid devices at Computex in June. Initial benchmark tests have revealed that the devices are capable of providing better performance, especially when it comes to single-core performance. 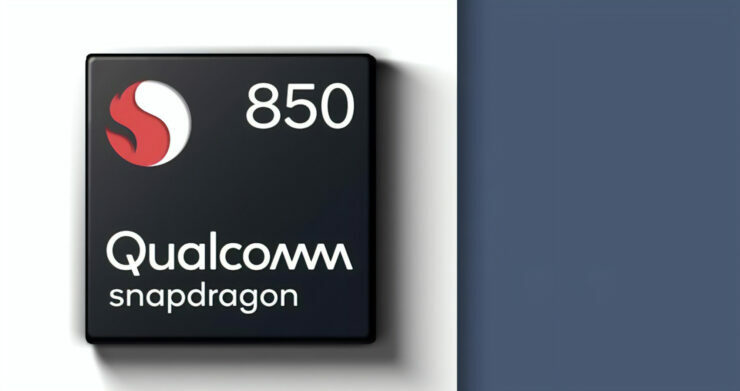 The new Snapdragon 850 is a lot like the Qualcomm Snapdragon 845 SoC, which powers a lot of premium smartphones. The key difference is the higher clock rate which was achieved by introducing better ways to eliminate heat, and thus the new chipsets provide speeds of up to 2.95GHz. A new Snapdragon 850-powered Lenovo device spotted at Geekbench has revealed that Qualcomm was primarily referring to the performance of the individual cores when the company promised an increase in performance. The new Lenovo device, which bears the model number Lenovo 81JL, scored 2,263 points in the single-core test in Geekbench. Comparatively, the highest points that a Snapdragon 835-fueled device was able to achieve was 1835 points, which ASUS NovaGo TP370QL obtained and this translates into an increase of 23 percent. However, the multicore results are not that different. The ASUS NovaGo TP370QL scored 6,475 points, while the Lenovo 81JL scored 6,947 points, signalling a performance increase of just 7.3 percent. These results should be interpreted with caution because there are no official comparison values for Snapdragon 850 right now. If Qualcomm, Microsoft, and Lenovo make further optimizations, the difference may become wider in the future. The fact that a benchmark result is already available with a Lenovo device that is referred to with a model number instead of a code name suggests that the hardware is in its completion stages and ready for launch. Qualcomm had claimed that the Snapdragon 850 would provide a performance increase of up to 30 percent over the Snapdragon 835, but did not pin it to specific applications. However, a performance increase of 23 percent in the single-core tests means that users will notice better performance as most applications use a single processor core. To make most of the apps running on the Windows 10 on ARM platform and the latest Snapdragon 850, they must be 64-bit capable. This functionality is something new and it will probably be optimized in the future, and we will be here to provide every bit of information to you guys. With the Snapdragon 850 for Always Connected PCs Unveiled, Has Qualcomm Cannibalized Its Snapdragon 845 Intended for the Same Products?